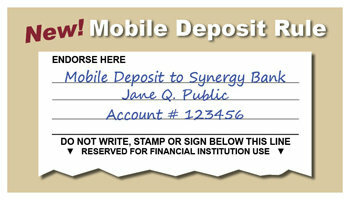 Synergy Bank was formed in 1998 by a group of local business leaders who shared a common vision of a new type of financial institution for the Houma-Terrebonne area — a bank with a true sense of local identity, a bank which would celebrate local values, a bank which would have a profound commitment to the growth and prosperity of our community and its citizens. Synergy Bank is the realization of their dream — a solid financial institution and a pillar of integrity, locally owned and managed, and shaped by the values which make our home a wonderful place to live. At Synergy Bank, you will find a group of people and a corporate philosophy firmly committed to customer service. You will find seasoned banking professionals. You'll find a host of innovative financial products and services tailored to the needs of our customers. South Louisiana is rich in its diversity, warm in its compassion, grounded in its history and alive with the promise of its future. Synergy is proud to be a part of this vibrant and dynamic community. At Synergy Bank, we believe that there is strength in community. We are deeply committed to fostering the growth, development and prosperity of our area. Synergy Bank was formed specifically to address the unique needs of the people we serve — with the vision of banking for, by and with the community. To do this, our mission is to work with our customers to ensure that they consistently receive the most personal service, the best-targeted products, and the highest level of expertise that the banking industry has to offer. Further, our mission is to foster a working environment in which members of the community will want to work — to be a part of Synergy, not just as a customer, but as a team member. We respect and value each team member; not only as an employee, but also as a representative individual from the community we serve. In addition, we strive to faithfully represent the shareholders, who made Synergy possible. Synergy was founded for our community by the industries and individuals that form our community. We recognize and embrace the fact that the strength of our association is derived from our diversity, much like our community itself. Get ready for the Synergy brand of banking. While we offer a full range of financial services, at Synergy we also offer something more — a unique brand of customer service that you just can't get anywhere else. When you call Synergy, you will never be answered by voice mail. You will be greeted by a warm, friendly voice ready to help you. That is simply the Synergy way of doing business. The Synergy brand of banking is an attitude that embraces good old-fashioned customer service, pride in doing a good job, and a sincere belief that in working together, we can make things better for everyone. You will see it in the smiles of our people, in the pride they take in their jobs, and in their absolute commitment to our community. Synergy — more than just your bank, we are your friends and neighbors too.